The Volcano Classic Vaporizer is without a doubt the Rolls Royce of vaporizers. 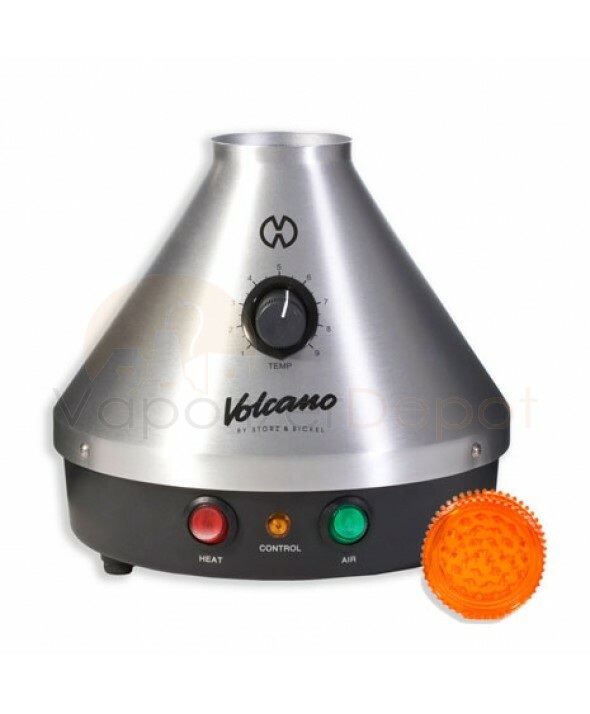 A symbol of German engineering at its finest, Volcano Vaporizers are imported to the USA by manufacturer Storz & Bickel. Every Volcano is hand crafted using precision German craftwork from the highest quality components. 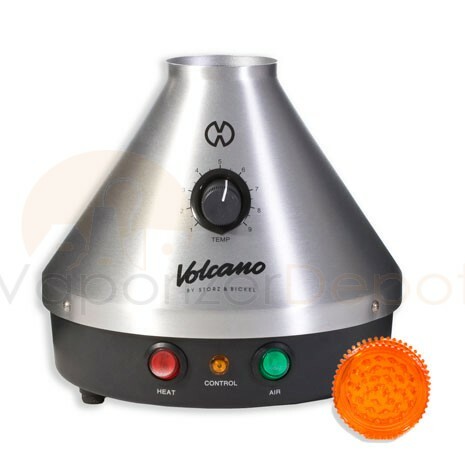 Featuring patented "forced-air" technology, each Volcano is built with a strong diaphragm pump and food safe aluminum heating block that propels a consistent stream of hot air around and through the material material, thereby releasing the vital ingredients of your aromatherapy bends into a flavorful vapor that fills the balloon bag. There are two valve system options for every Volcano: for novice users, we recommend the Easy Valve set. This is a pre-assembled balloon apparatus that comes ready to use out of the box and a simple replacement method for each bag once each bag can no longer be used. The starter kit comes with 5 balloons included as well as the appropriate filling chamber. The Solid Valve set is the standard valve for the experienced vapor connoisseur. The user can customize their individual balloon size from the 3 meters of balloon material which Storz & Bickel includes in every Solid Valve set. Replacing Solid Valve balloons is a little more involved than the Easy Valve, but it ends up being a better value in the long run as the material is extremely affordable for the longevity you will get out of it. The Volcano is incredibly easy to clean and maintain. All you have to do is brush out the material chamber every 5-10 sessions and gently clean the inside of the chamber with a cotton swab dipped in isopropyl alcohol. To maintain the long life of your Volcano, we recommend cleaning the valve set and changing the bags after every 50-75 fillings. Each valve set comes with 3 upper screens and 3 lower screens for the material chamber. The bag and screens are the only parts that need replacing. If you take the price out of the equation than this is easily one of the best vapes you can buy. But when you factor in the price I don't think you are getting a ton of value here. I would probably go with something like a Silver Surfer or a viVape if you need to do balloon bags. With those two vapes you could also throw in a pen vaporizer and still come out ahead. But if you are rich and money is not an issue than I would recommend this. Otherwise you might want to shop and look for something on here.